Meet Edward, our National Lead for Kenya! Edward is the Chief Executive Officer at Kenya Climate Innovation Center (KCIC). He leads the team across focus areas and crafts unconventional strategies to drive innovation and entrepreneurship forward. Mr. Mungai has a multifaceted background in business advisory, entrepreneurship, and investment management, based on his experience working with the Danish International Investment Funds (IFU) as an Investment Manager in Copenhagen as well as in Africa where he was the head of the regional office for IFU. Prior to joining IFU he was a manager at KPMG East Africa and responsible of Corporate finance and transactions services. He has thorough experience in development financing mechanisms for SMEs, with special interests in the agribusiness, renewable energy, and water and sanitation sectors. Mr Mungai holds an Executive MBA from the Scandinavian International Management Institute/Copenhagen Business School and a Business Management degree from Moi University, Kenya. He has huge interest in corporate sustainability and has been involved in high level discussion of the topic in the Africa region. Why did you become a country lead ? The Kenya Climate Innovation Center’s mission of empowering the private sector to deliver innovative climate change solutions dovetails well with ClimateLaunchpad’s mission of supporting entrepreneurs globally to develop their ideas into great businesses, hence our participation in this Green Business Idea Competition. 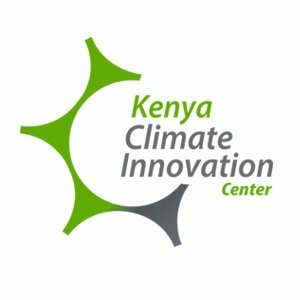 The KCIC will be able to tap into and support entrepreneurs developing green solutions to climate change challenges, in line with its vision of being Kenya’s one-stop shop for innovative climate change solutions. The KCIC provides incubation & acceleration services & facilities to clean technology entrepreneurs. These include business advisory, access to office & testing/fabrication facilities, access to information, policy advocacy & enabling business environment support, and access to business financing.